In 1995 Campagnolo started putting the group name on all of their components. 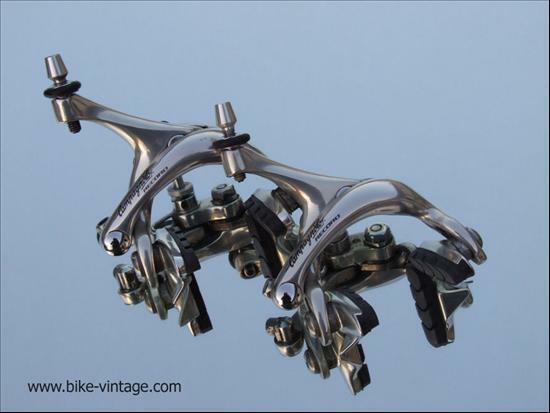 Seen here is the circa 1995 Record dual pivot brakes. Model number given is for the 1995 model year. The previous year was the same (model number BR-04RE) except no "Record" seen on the arm.